First Listen: Cults, 'Static' For Cults, reinvigorating '60s-style girl-group pop means embracing both light and darkness; it's about deceptive sweetness and a haunting quality that makes the songs linger after they're gone. 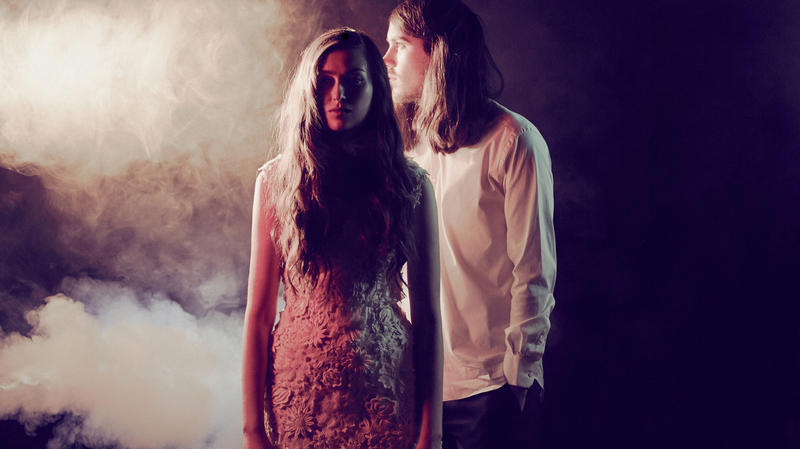 Cults' new album, Static, comes out Oct. 15. For Cults' Madeline Follin and Brian Oblivion, reinvigorating '60s-style girl-group pop means embracing both light and darkness; it's about deceptive sweetness and a haunting quality that makes the songs linger after they're gone. Like Cults' self-titled 2011 debut, the duo's new album Static (out Oct. 15) keeps its sound rooted in a kind of plaintive shimmer — Follin remains approachable even as her words tap into the mystery and desolation wired into many of the arrangements. It's no accident that Static closes with a song called "No Hope," in which Follin yearns to "burn down the bridges," "burn down the town" and "forget tomorrow." For Cults, as it was for many of the band's forbears and influences, buoyant pop simply provides a mask for self-doubt and the eternal fatalism of vulnerable youth. That tension is far older than pop music itself, but on Static, Cults' members understand it, tap into it and bend it to their will and considerable skill.